You are in the construction industry and I bet that you find it very hard to prove that you are not a cowboy builder or rogue tradesman. 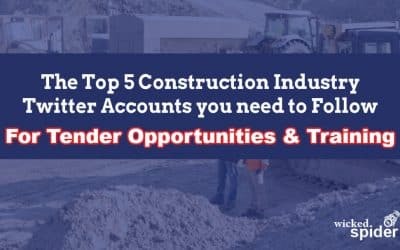 Did you know that thousands of people search online for businesses in the construction industry every month? How many of these searches are coming your way? Call me today on +44 (0) 7813 769 719 if you want to reach new markets and get a competitive advantage with a new website build. If your website is outdated, or isn’t easy to use, potential clients will think that this is a true reflection of your services and will not be picking up the phone to call you. I can build a website for you that showcases your high standards of professionalism and that gives evidence that you have the resources or products to see a project or order through to completion. Does your website do you justice? Or will people think that you are a cowboy builder or dodgy supplier of construction materials? Wicked Spider is a specialist web design company with a proven track record of generating more business in your industry. I am the only web design company that does onsite SEO manually as standard. This means that there is a far greater likelihood of being found online by the right people in the desired location. I will provide you with an offsite SEO kickstart. This means that people will find your business online far quicker than they normally would. 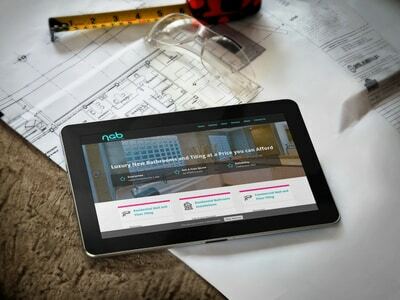 My construction industry blog has articles to help you be more successful with your marketing. You will also find out about opportunities to help develop your business on social media. Focus on the reasons you are better than your competitors. Prove that you are a professional outfit that complies with industry regulations. Detail your exemplary products and services. Provide evidence of why you are the best in your field. Showcase your products or services. Make it super easy for people to get in touch and place an order. You are fully protected by my 100% No-Risk Money Back Design Guarantee. If you don’t like what I’ve done and don’t sign off your design, then I will happily refund 100% of your money.